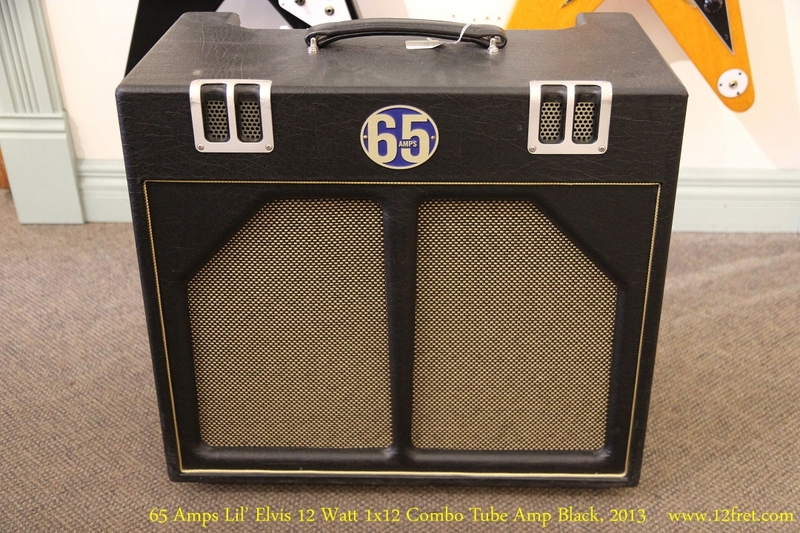 Today we are looking at a 65 Amps Lil ELvis, a 12 watt 1×12 inch speaker combo hand-wired tube amp with effects loop, tremolo circuit and power scaling via the Master control. 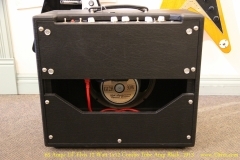 This is a single channel amp, but like other small amps in this range there’s a ‘Bump’ switch on the panel – this can also be operated via footswitch – that pushes up preamp gain for a mild overdrive. The Master control isn’t a normal master volume control, but alters the voltages fed to the output power tubes, allowing the amp to keep its character when taken down to low output levels. 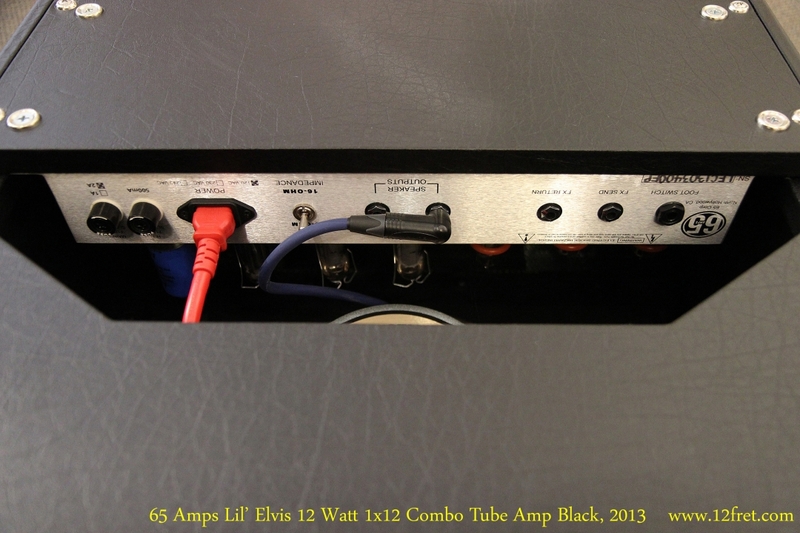 This feature by itself helps make this amp nearly ideal for recording situations. 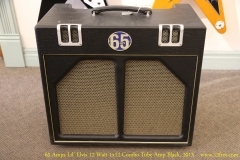 This amp is in great condition, with no visible damage or wear.